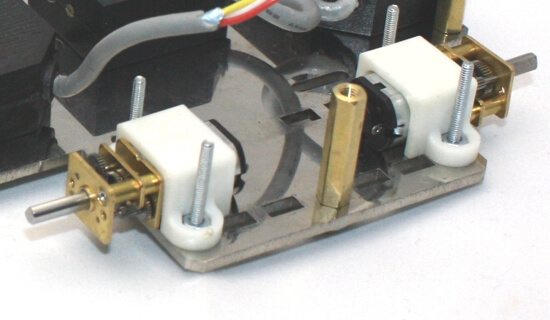 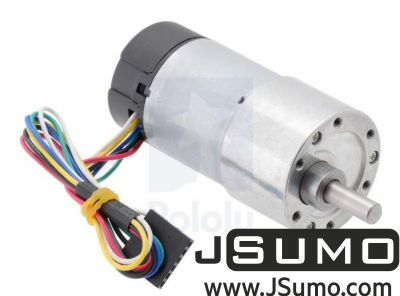 This motor is similar to Pololu brand's popular Micro Metal HP series but produces more power. 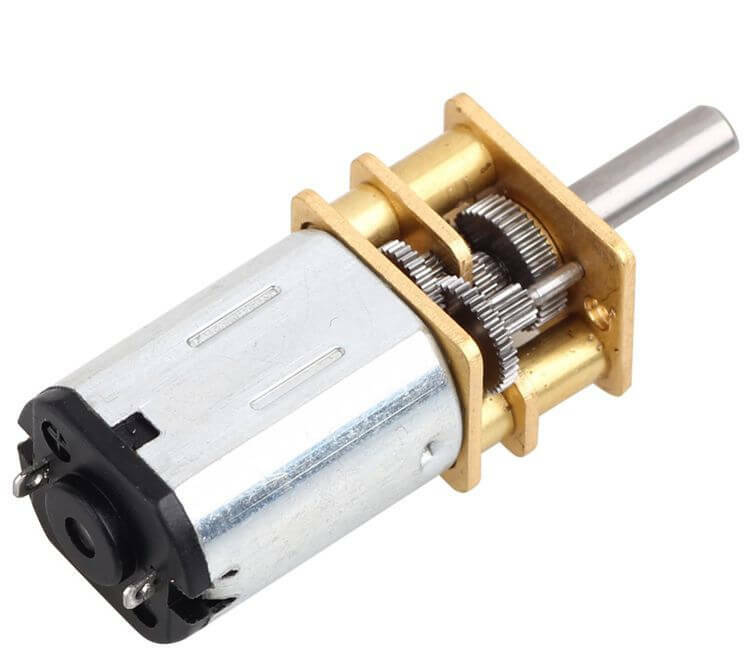 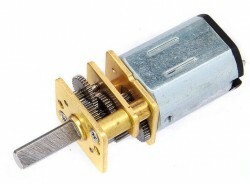 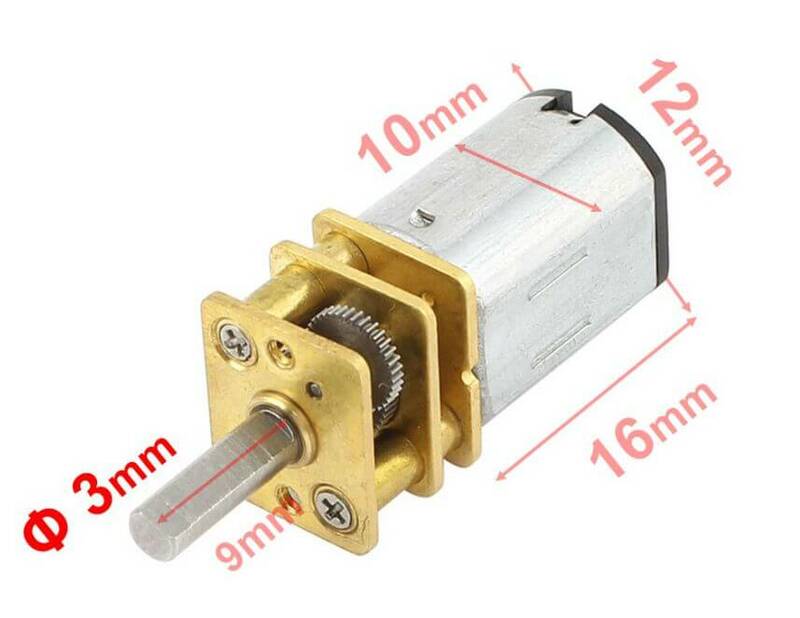 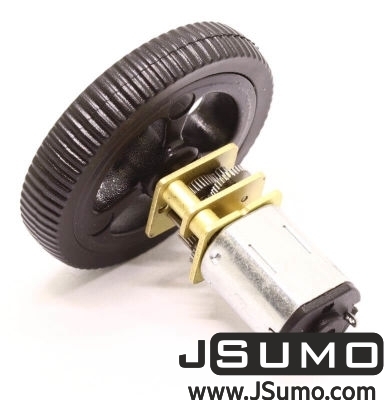 The size of this micro-metal motor with a rotation speed of 1580 RPM and a gear ratio of 20:1 is 12 mm x 34 mm. 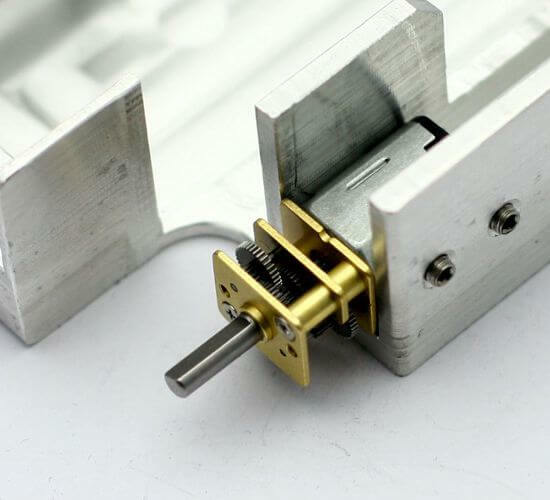 For ease of assembly and power transfer, the D-shape output shaft is 9.2 mm long and 3 mm in diameter. 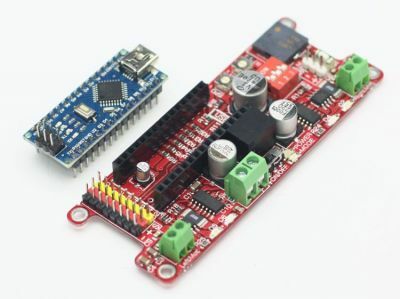 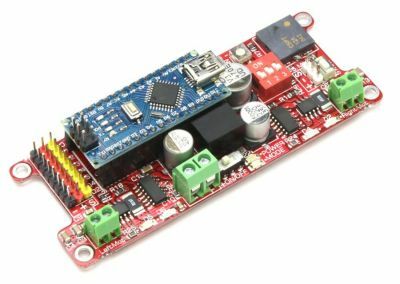 The motor's operating range is 3-9 V. The recommended operating voltage is 6V. 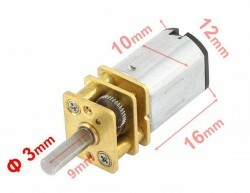 Our all mini/micro motors have 3mm shafts. 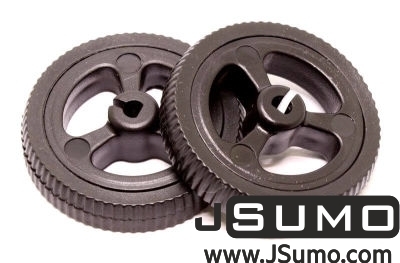 Which means they are perfectly fit to our SLT20, SLT20P , JS3811 silicone and mini rubber wheels. 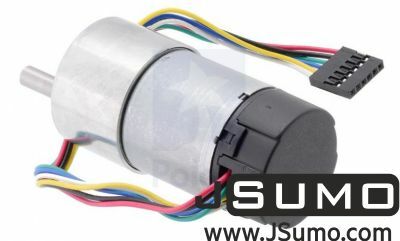 HP means high power, this motors give highest torque for their size. And also they draw highest currents when compared with traditional same size models.